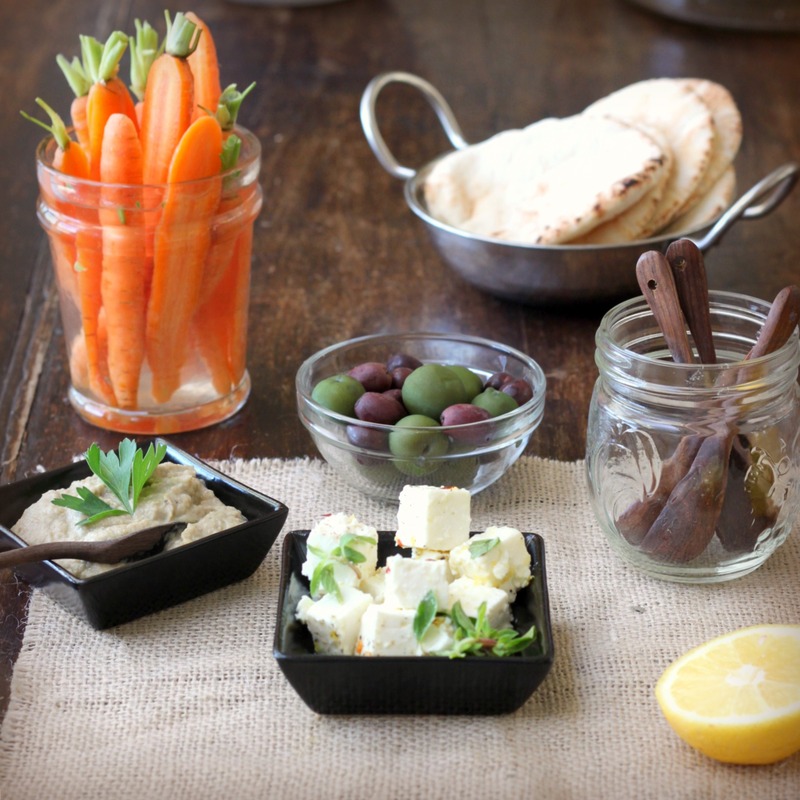 What are mezze? A delightful appetizer tradition integral to the cuisines of the Middle East, Turkey and Greece. Mezze consist of numerous small tasters, often simple and fresh, which are meant to whet the appetite before a meal along with a drink. 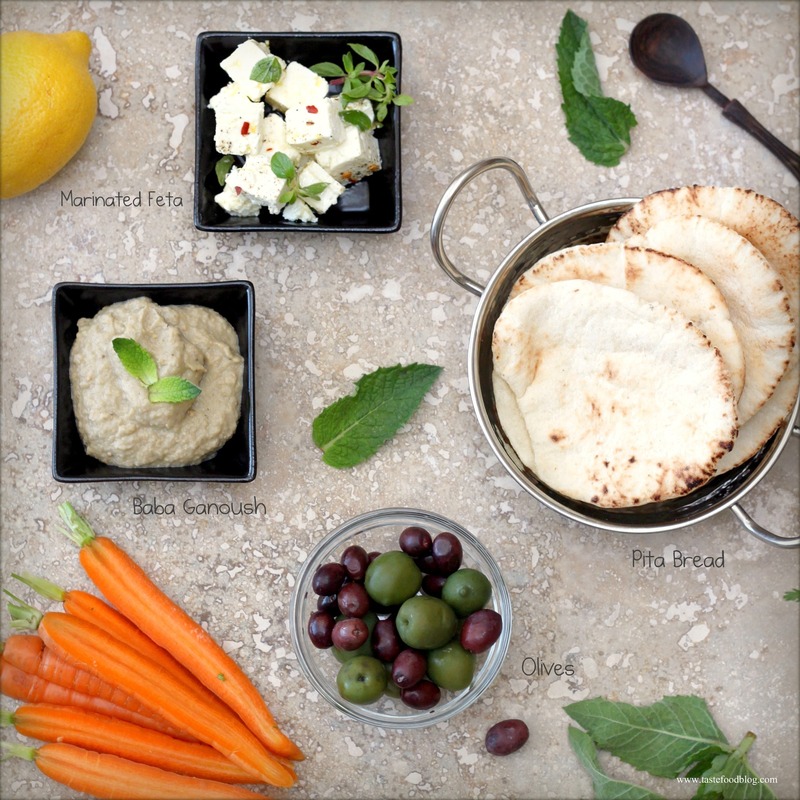 The word mezze comes from the Arabic term t’mazza, which translates as “savor in little bites.” I can’t think of a more convivial and pleasurable way to begin a meal with a group of friends than with a sampling of mezze accompanied by a drink on a warm summer evening. 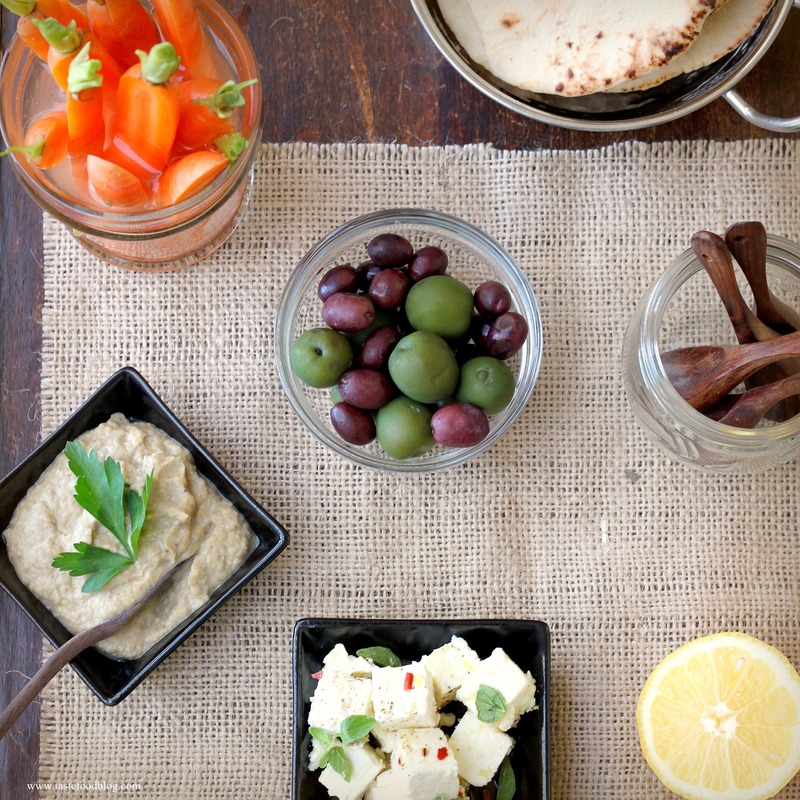 Mezze should always include a sampling of dips, such as hummus or tsatsiki, cruditees, bread and olives. For a more substantial selection add meat keftas or brochettes, simple salads and dolmas (stuffed vegetables and filled grape leaves.) Keep the portions small, set a table in the sunshine and pour a refreshing drink. Enjoy! Baba ganoush is a traditional Middle Eastern dip made with roasted eggplant. In this recipe I have added chickpeas to give the dip more structure. Makes about 2 cups. 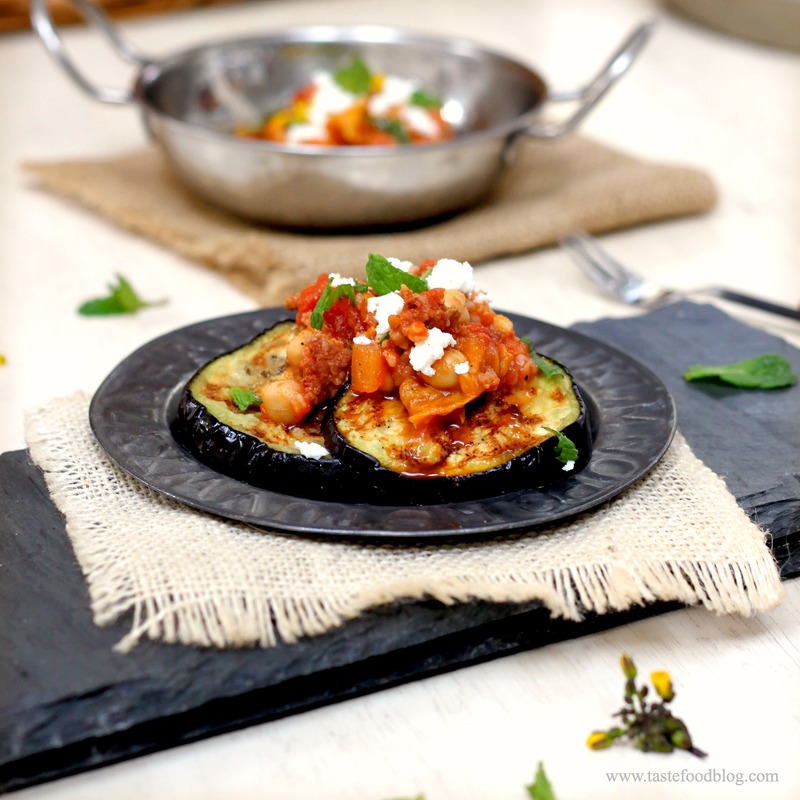 Preheat oven to 425 F. Roast the eggplant over a gas flame or on a grill until the skin is charred on all sides. Place on a baking sheet and bake in the oven until very soft when pierced with a knife, about 25 minutes. Remove and cool. Peel away the skin and scoop the flesh into a bowl of a food processor. Add all of the remaining ingredients except the parsley. Pulse to combine. Refrigerate at least 1 hour or overnight to let flavors develop. Before serving stir in 1/4 cup chopped parsley leaves. Serve with pita bread. Place cheese in a shallow bowl. Whisk remaining ingredients together in a small bowl. Pour over cheese and gently toss to combine. Fold in thyme and oregano. Refrigerate 2-3 hours or overnight. Before serving remove thyme and oregano sprigs. 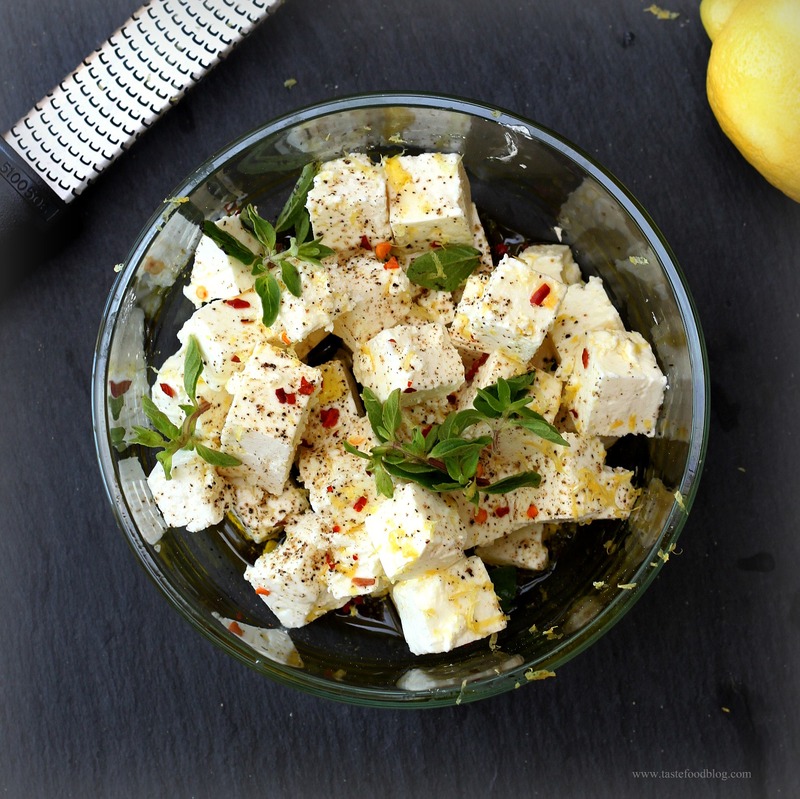 Serve with additional black pepper and pita bread.